Certainly the way businesses used to approach their customers and bring them to the point of sale and close – has changed! With the emergence of eCommerce, the offline market is facing stiff competition for majority of the business sectors. Now all the businesses based in the product line are thinking of going for eCommerce website development and get a website to sell their products to anywhere they want to. The Office for National Statistics (ONS) has published the numbers for the internet users and their habits in the UK; how they have diverted and where they are in comparison to that of EU. In 2006, only 35% of the adults accessed the internet daily which is doubled to 76% in 2006 as per the ONS. The digital economy is driven by the consumer habits and the business promotional trends. The eCommerce Website Development gives a facility to you that includes any form of business transaction whether it is the website sales or electronic data interchanges. It is becoming one of the stronger pillars of the UK economy with the value of its sales reaching £492 Billion in 2013. The value has increased by 47% to what it used to be in 2008 and also it is equivalent to 18% of the total non-financial business turnover in 2012-4. One of the contrasting highlight is growth in eCommerce sales in 2009 by 11.8% while the GDP fell by 5.2% in 2009. The growth increase by 2011 but the driving force changed. 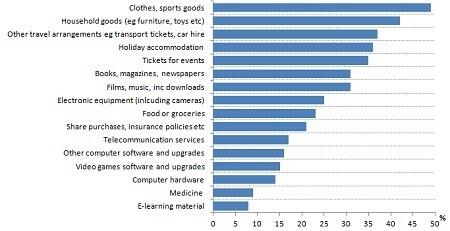 Below figure shows how various industries contribute to growth in e-commerce sales. In 2009, the eCommerce sales were largely from the wholesale segment. But as the industry grew stronger, manufacturing and other industries contributed more. 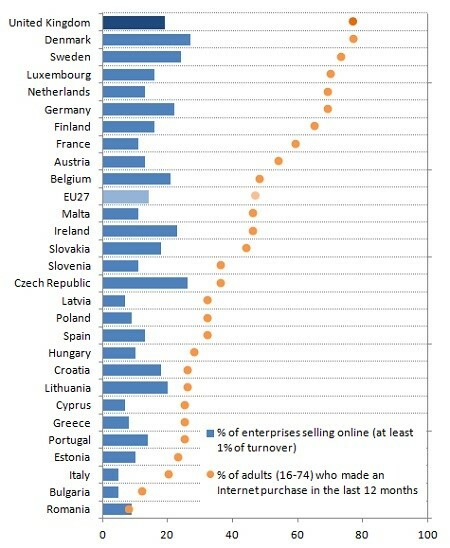 But further in 2012, the growth of eCommerce reduced to 1.6% with wholesale falling to -2.1% and manufacturing at 0.3%. But the significant factor is in spite of the altering contributions, the overall value of eCommerce sales in 2012 remained same as in 2008. 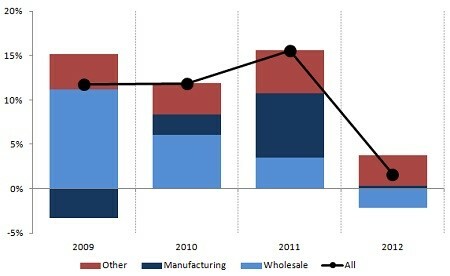 And in 2012, wholesale contributed largest at 35% followed by manufacturing sector at 32%. What the future holds for eCommerce website development? Letsnurture has a vast experience in providing eCommerce websites. 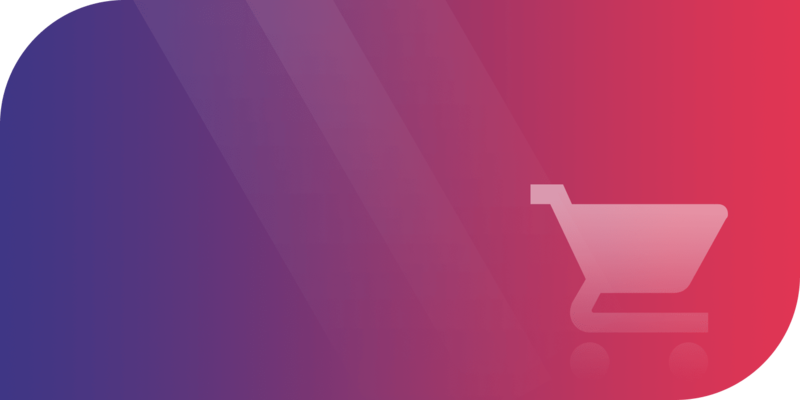 Our dedicated eCommerce Website Development Team can deliver bespoke eCommerce solutions as well as turnkey eCommerce solutions using open source. Letsnurture has its forte to develop eCommerce solutions. We have furnished many large eCommerce Websites. We have built mobile friendly responsive eCommerce stores for our clients. Our ability to customization will allow your customers to view, review your products and quickly update their shopping cart with ease. Wish list, save search and other feature will keep user in tact with your web site. eCommerce Web application and secure Web payment gateway. 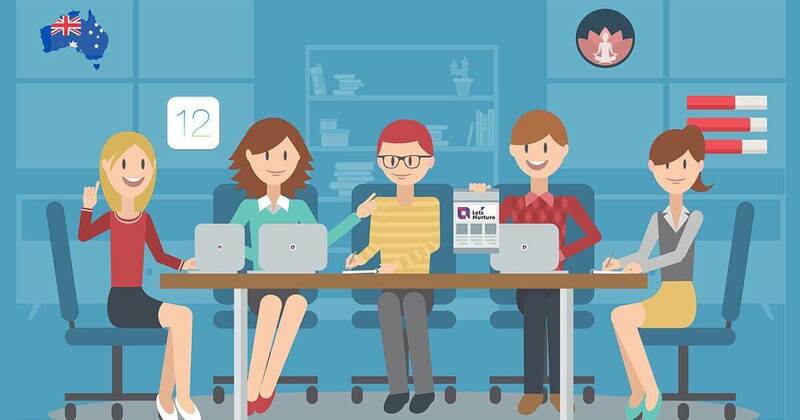 Our eCommerce development team will remain constantly in contact with you to give you a complete report and updates, and will develop the proficient custom eCommerce solution. If you this is really your requirement then you are at right place. We have extensive experience in eCommerce website design & development mail your inquiries at info@letsnurture.com.